Professor Coote leads the Computer-Aided Chemical Design research group within the Research School of Chemistry and the Australian National University. 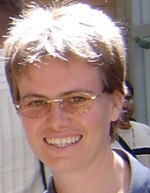 She is regarded as a pioneer in the development and application of accurate computational chemistry for modelling radical polymerization processes, and is internationally recognised for her contributions to elucidating the mechanisms and defining the kinetics of these complicated processes, explaining the links between structure and reactivity, and designing improved reagents for manipulating their outcome. Her international reputation extends beyond the radical polymer field by virtue her significant contribution to our understanding of other important chemical processes, including polymer autooxidation, nitroxide radical chemistry, and acid-base chemistry. Very recently she has made the landmark discovery of radical orbital switching.